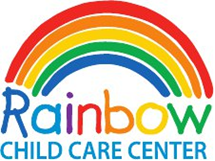 Thank you for your interest in Rainbow Child Care Center of Elkin, located on Johnson Ridge Road at Clairmont Road. Our day care staff is committed to providing a nurturing, educational and safe “Home Away from Home” environment for all children. We look forward to the opportunity to serve your family! Below you'll find information on our child care facilities, special offerings and enrichment programs.